Home » PV Sindhu seals quarter-final spot at Singapore Open. 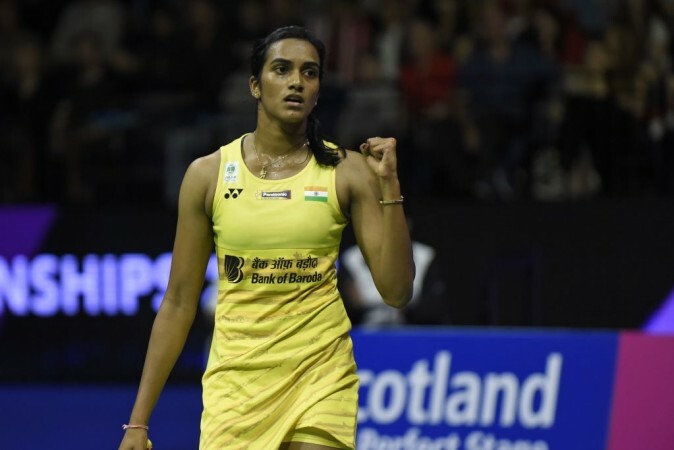 Ace shuttler PV Sindhu defeated Denmark’s Mia Blichfeldt to seal women’s singles quarter-finals at Singapore Open 2019. She took just 39 minutes to record a 21-13, 21-19 win over the world No 22 and will be facing China’s Cai Yanyan in the quarter-finals. On Wednesday Saina Nehwal, Kidambi Srikanth and PV Sindhu stormed into the second round of Singapore Open with straight game wins. After opening up a 3-0 advantage, World No 1 Sindhu led throughout the first game but in the second round saw a tight battle with Mia till 8-8 and trailing 11-15 at one stage. However, Sindhu managed to get back the control to reach 17-17 and then rose ahead to seal the victory in her name. Sindhu had also reached the semi-finals at the India Open last month. Saina Nehwal who defeated Thailand’s Pornpawee Chochuwong 21-16, 18-21 and 21-19 also sealed her quarter-final ticket. Last week, in the Malaysia Open Saina, was defeated by the same opponent Pornpawee in the first round.